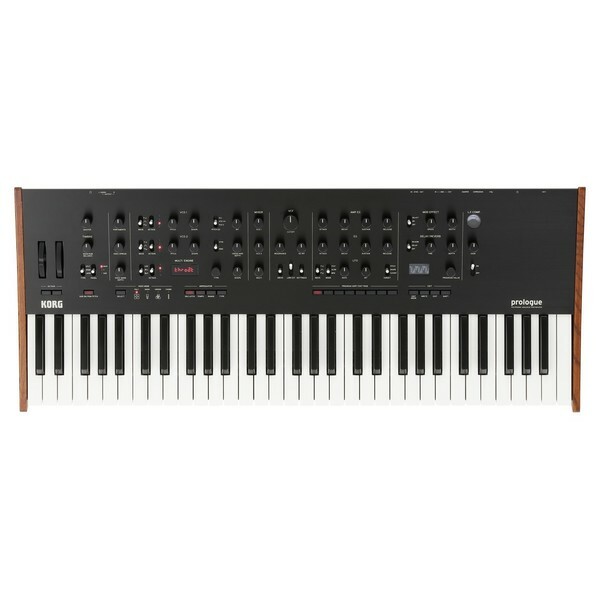 The Korg Prologue Analog Synthesizer, 16 Voice is a 61-note polyphonic synthesizer featuring a newly developed multi-engine with three modes. The Korg Prologue replaces the Minilogue and Monologue as the flagship synthesizer, building on the design of its predecessors. 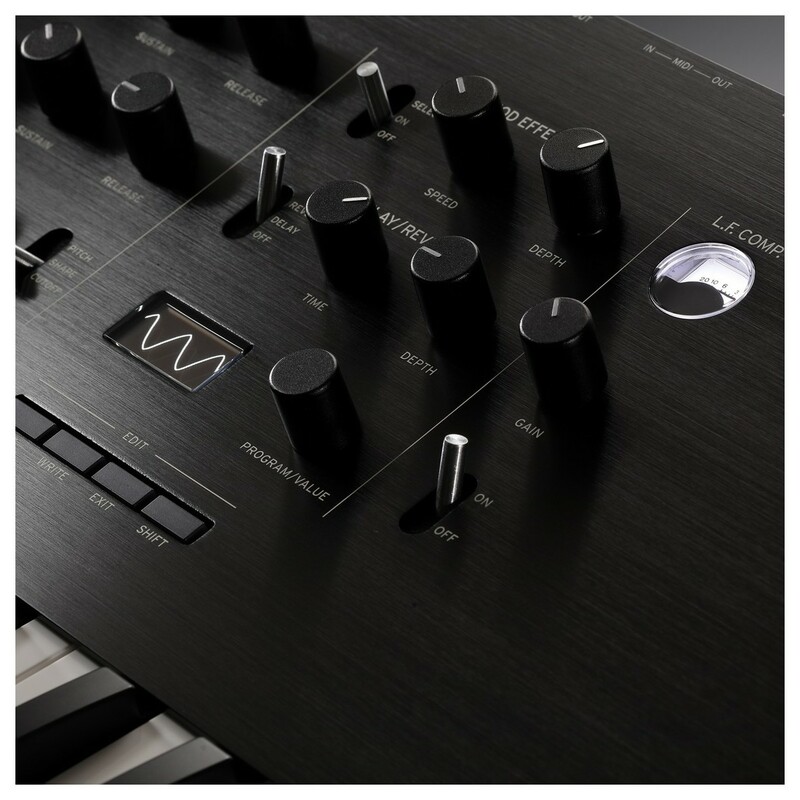 The Prologue Synthesizer features bi-timbre support and a wide range of premium-grade digital effects for complex sound design applications. 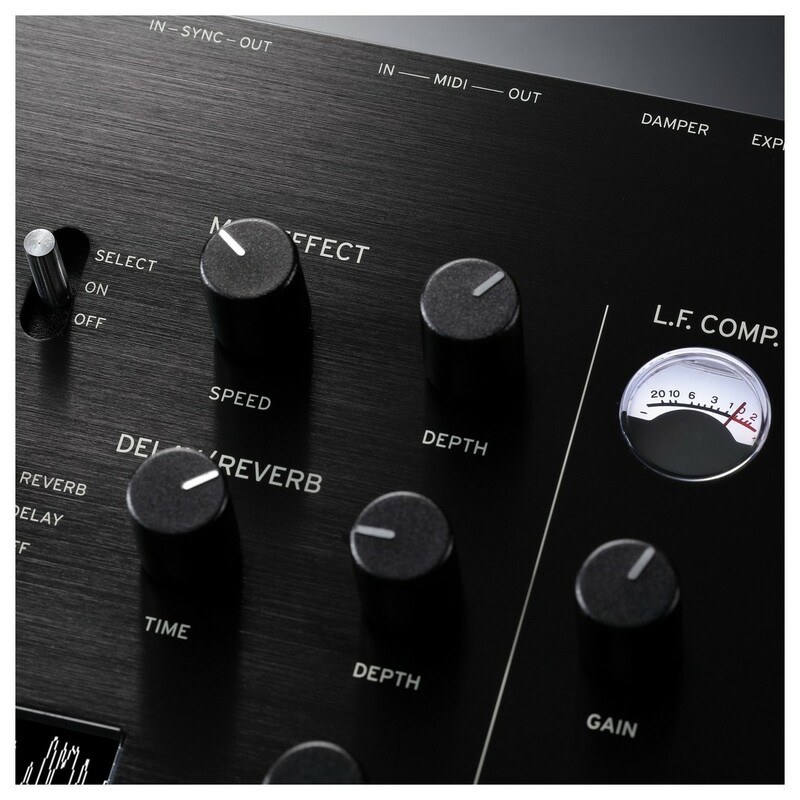 The Prologue 16 also features a new, integrated low frequency compressor analog effect, exclusive to this model. The flexible voice modes come complete with a Program Sort function, designed to improve your workflow. An Open API (Application Programming Interface) is also included, allowing you to create custom oscillators and effects. 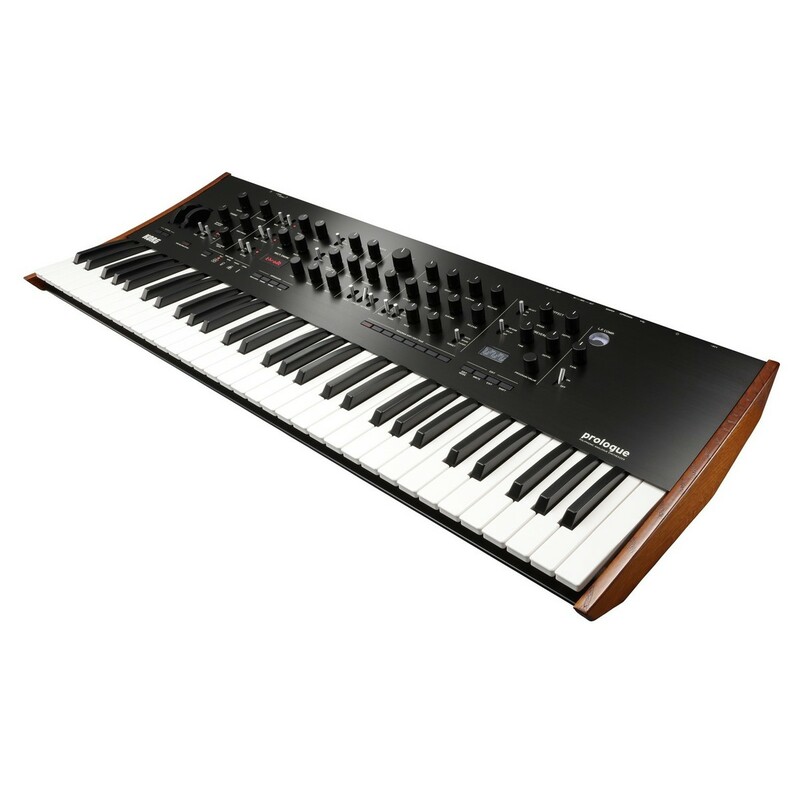 The Prologue is the latest flagship synthesizer from Korg, boasting a wide range of premium-grade components and cutting-edge technology, resulting in one of the most exciting synthesizers to date. 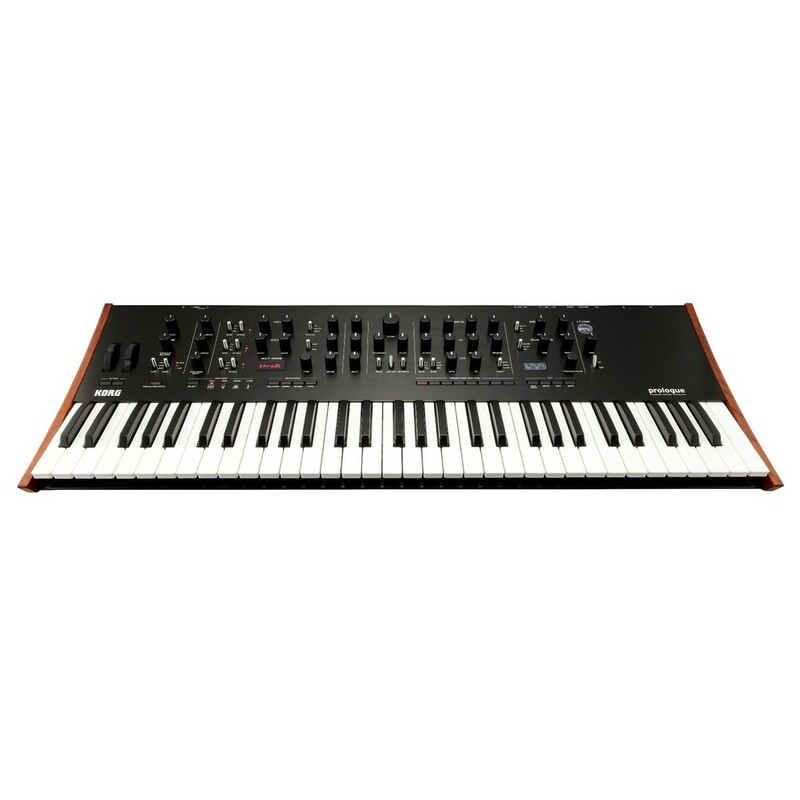 This 16-voice version of the Prologue features a 61-note keybed, developed using a Japanese-made natural touch keyboard for expressive playability. This ensures optimal performance standards, with its velocity-sensitive notes providing a fluid feel. The polyphonic design features 16 multitimbral voices in total, and features 11,000 discrete electronic components working together to deliver exceptional audio fidelity. Its unique circuitry results in a powerful sound, complete with a two-pole low pass filter for enhancing the sharpness of your sounds. One of the most unique features of the Prologue is the newly developed multi-engine. This multi-engine is comprised of three different modes including: Noise, VPM and User. The Noise Generator mode provides four selectable settings, which is ideal for percussive sounds as well as sound effects. You can generate everything from metallic like snares to swooshing transitions noises. The VPM (Variable Phase Modulation)/FM oscillator is a new addition to that of its predecessor. It can be used to produce sharp sounds, with complex overtones, producing sounds that cannot be obtained via the analog circuitry. It offers 16 varied oscillator settings, complete with a ‘Shape’ control which you can use to achieve complex sound design. 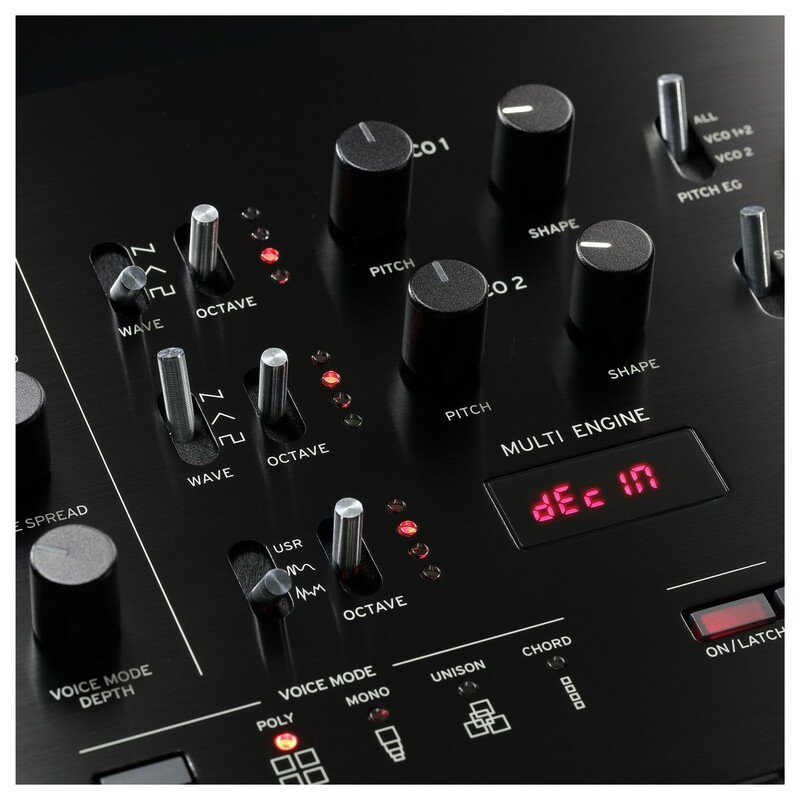 The User Oscillator settings allows you to create your own custom oscillator programs. It provides you with sixteen slots, as well as a morphing wavetable oscillator, built-in as a preset for optimal flexibility. 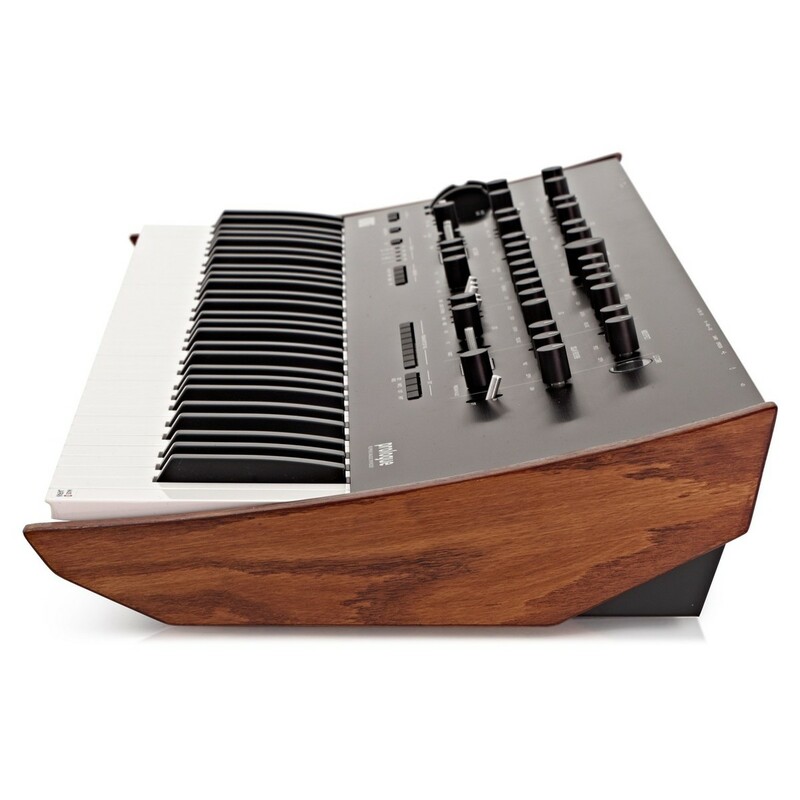 The Prologue is designed as a dual-timbre synthesizer, allowing you to play two different programs at the same time. You can also layer and split sounds to achieve unique results, as well as being able to crossfade between the main timbre and sub timbre for maximum versatility. The standard polyphonic mode allows you play chords up to 16-notes. The Mono mode is great for creating bass-orientated sounds using the sub-oscillator. The Unison mode allows you to generate thick tones that are ideal for creating leads. Chord mode allows you to trigger chords with a single note for experimentation and performance use. The Prologue offers a high range of customisable settings and parameters, designed to bring out the best from your creative mind. The open API (Application Programming Interface) allows you to customise and enhance the multi-engine and digital effects section. There are 16 user oscillator slots and 16 user effects slots in total for added convenience. You can use the user slots to create your own oscillators and effects programs via the dedicated librarian software (expected for download around spring 20116).